Every year a call for nominations of visiting scholars by current University of Melbourne staff will be made across the Faculty of Arts. The nomination deadline will be set some time in July or August. The Indonesia Initiative welcomes proposals for Indonesia scholars with strong research profiles based at an Indonesian university to visit the Faculty of Arts for three weeks during teaching time. For all inquiries please email Associate Professor Kate McGregor. Dr Oki Rahadianto Sutopo is a lecturer in the Department of Sociology, within the Faculty of Social and Political Sciences at the Universitas Gadjah Mada (UGM), Yogyakarta. At UGM, he also holds the position of Executive Director of the Youth Studies Centre (YouSure). 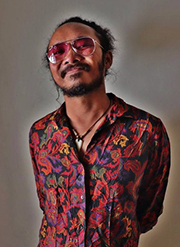 Oki earned his degrees from Universitas Gadjah Mada (BA in Sociology), Universitas Indonesia (M.Si in Sociology) and the University of Newcastle, Australia (PhD in Sociology). Oki’s main research interests include youth studies, youth transition, youth culture, and generations. He has published articles in the Journal of Youth Studies, Sociological Research Online, Crime Media Culture: an International Journal, and Asian Music. He is also Editor in Chief of Jurnal Studi Pemuda (Indonesian Journal of Youth Studies). Dr Sutopo will be hosted by Associate Professor Dan Woodman from the School of Social and Political Sciences. He will visit the University of Melbourne for three weeks from 23 March - 14 April 2019. Dr Diah Kusumaningrum teaches at the Department of International Relations (DIHI) and the Masters Program in Peace and Conflict Studies (MPRK), Universitas Gadjah Mada (UGM). Among her classes are Introduction to Peace Studies, Nonviolence Studies, Ethnic Conflict, Global Social Movements, Philosophy of Conflict Resolution, and Violence in World Politics. 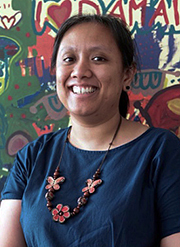 With her colleagues, she created Damai Pangkal Damai, the first ever database on nonviolent actions in Indonesia (1999-present). Her current research projects include "Sites of Peace, Sites of Violence" (with Professor Jennifer Balint and Dr Nesam Mcmillan from University of Melbourne) and "Screening Violence" (with Dr Simon Philpott from Newcastle University). Diah wrote an MA thesis on the use on nonviolence in various power relation settings (University of Bradford, 2005) and a doctoral dissertation on interdependence as the path to reconciliation in Maluku (Rutgers, the State University of New Jersey, 2015). Dr Kusumaningrum will be hosted by Associate Professor Jennifer Balint and Dr Nesam McMillan from Criminology/ School of Social and Political Sciences. She will visit the University of Melbourne for three weeks from 20 April to 10 May 2019. Dr Vishnu Juwono is an Assistant Professor (Lektor) in Public Administration and a researcher both in Collaborative Governance and Dynamic Public Service (CG-DPS) and Politics of Taxation, Welfare and National Resilience (PolTax) research cluster at the Faculty of Administrative Science at Universitas Indonesia (FIA UI). He has been a Coordinator for International Cooperation in FIA UI since July 2017. He obtained his Doctoral of Philosophy degree (PhD) from the London School of Economics and Political Sciences (LSE). 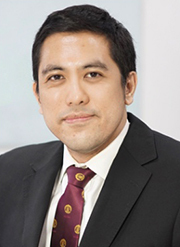 Before joining UI, he has extensive work experience in private and international organisations, including as Governance Consultant in the World Bank Office Jakarta and was working for the International Monetary Fund (IMF) in the US. He has written numerous articles that were published in various leading national newspapers such as: Kompas, Seputar Indonesia and Tempo. He has authored and co-authored six books, including Curbing Corruption in Indonesia, 2004-2006: A Survey of National Approaches (2006) and his latest book is Melawan Korupsi: Sejarah Pemberantasan Kourpsi di Indonesia 1945 - 2014 [Against Corruption: The History of Anti-Corruption in Indonesia 1945 - 2014] (2018). His academic articles were published in the International Journal of Administrative Science and Organisation and Journal Global. Dr Juwono will be hosted by Dr Scott Brenton from the School of Social and Political Sciences. He will visit the University of Melbourne for three weeks from 18 May - 2 June 2019. Dr Herlambang P. Wiratraman, Airlangga University. Some of the outcomes so far of the initiative include a new in country intensive subject taught by Asia Institute staff at Udayana University to a mixed class of Australian and Indonesian students and ongoing teaching and research collaborations with staff at Gajah Mada University and the University of Indonesia.